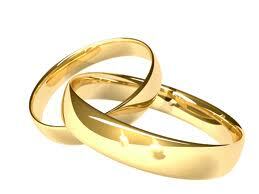 Marriage is a wonderful experience that every person wants to have when he or she is young. But not only youngsters want to get married, more and more older people also tie the knot, even beyond the age of 50. However, for women these late marriages constitute a considerable challenge. Some even fear they are going to end in a catastrophe. Arab News talked to the women who took this step late in life about the problems they faced. Buthina Mansouri, an Egyptian medical doctor, who got married at 48, faced major problems adjusting to her new life. “Getting married at this age completely turned my life upside down. I quickly realized how much time my husband wanted to spend with me. As a result, I lost almost all of my leisure time I had spent before. To be honest, it feels like I lost a lot of my freedom,” she said. According to Mansouri, she was working for 12 hours a day when she was single. After her marriage, she was forced to sell her own business and was just left with her job at a private hospital in Jeddah. But soon she regretted this decision. “After one year, my husband married a second wife. Now, I had a lot of spare time again so I went to my literacy school to continue but they wouldn’t let me. They said I had to start again from scratch,” she said. She added, “I took a risk and now I regret it. I believe that my marriage was a mistake. By getting married to this younger wife, my husband destroyed my old successful life. Um Mohammed, a Saudi widow who got married at 52, warns that when tying the knot after 50, women should expect a hostile reaction from society. “When I got married for the second time, I wanted to be loved unconditionally. I wanted to share my life with someone who could shield me from life’s difficulties. But I faced a lot of criticism from my friends and relatives, and my son was furious,” she said. Marrying One With Who Suckled Less than Five Times? Can the Man Demand More or Less than the Mahr in Khula?